Who doesn’t love puppies?! 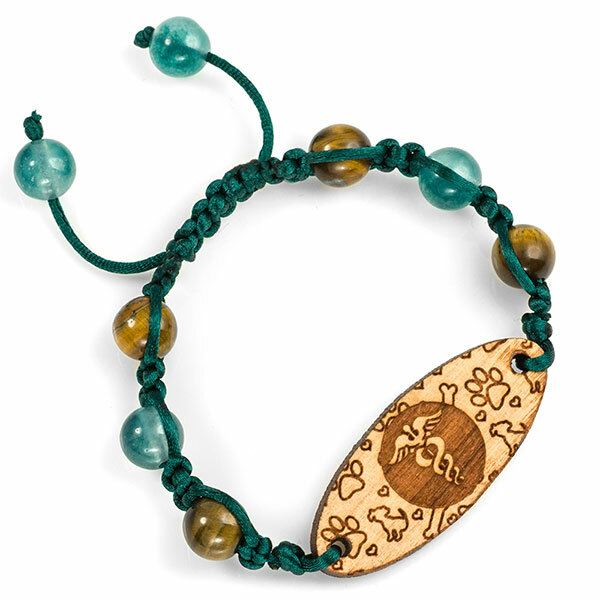 They’re the absolute best and we think our personalized macrame natural stone and wooden plaque bracelet is too. 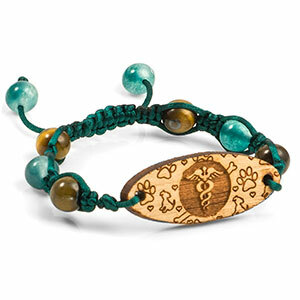 We he have paired both Tiger’s Eye and Jade 8mm stones with a natural evergreen shade macrame to create an adjustable plus comfortable medical ID bracelet which fits sizes 5.5 to 7.5 inch wrists. Comes with a cherry wood plaque pre-engraved with medical caduceus, puppies, pawprints and bones graphic artistry. 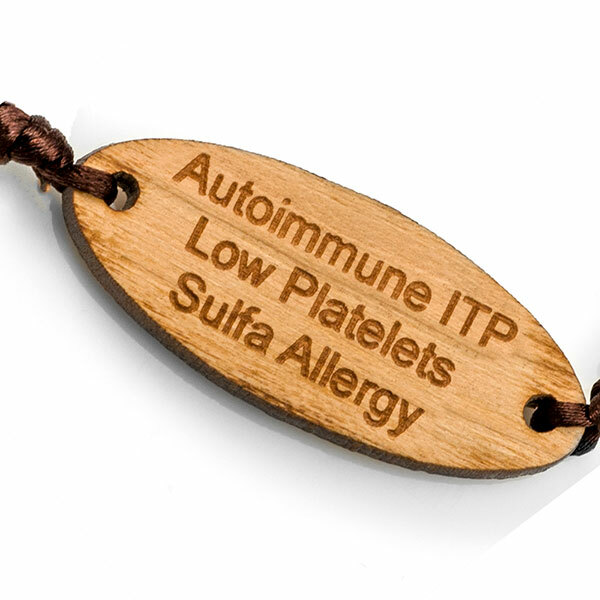 Engrave your custom medical alert details on the back. Entire bracelet assembly is hand-crafted and laser engraved by us in our St. Petersburg, FL location. Tiger’s Eye - Tiger’s Eye which is brownish gold in appearance, is said to promote within your body and mind – emotional healing, plus a decrease of anxiety. Also, it helps to improve focus and organization which serves to overall induce more happiness throughout your body and mind as well. Jade - Jade is a stone which appears green in color and is said to increase love, nurturing and harmony. It attracts friendship plus good luck. It also is known to bring about insightful dreams. It helps to provide emotional release and to also cleanse the body of toxins to provide balance and in turn is able to assist in fertility as well.